One of the biggest threats to public health is posed by a chemical known as Dioxin. Dioxin is the most toxic chemicals known to man, it’s potency is second only to radioactive waste. Dioxin is created as an accidental byproduct during the manufacturing, and incineration process of Chlorine based products. 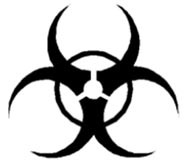 Once released in to the environment, it’s contamination becomes very wide spread. Small traces of this substance can in fact be found in the clothing you wear, in the food you eat, and in the toys that your children play with. Dioxin is very long lasting, and has the ability to accumulate in living tissues. It is present in your body from the moment that you are born, to the moment you die. There is no safe level of Dioxin that a person can be exposed to, the smallest amounts have bean proven to significantly increase the chances of developing cancer, as well as various other health defects. The longer we sit and wait, the more serious the problem will become. Dioxin is a threat to our society, and as such, it has to be dealt with immediately! So what can we do about this problem? The first and most important step is to create public averseness. There are many methods that can be used to reduce the emissions of Dioxin. However, they will only be possible if enough people get involved. Thought my research, I have determined that the levels of Dioxin in the environment will eventually decrease as a result of Government intervention. However, a “decrease” in Dioxin is simply not good enough. There is no safe level of Dioxin, as long as this substance remains to be emitted, it will continue to pose a serous threat to the health of all living creatures.